Our Roadside Assistance service has helped out people who are locked out of their car, their car won’t start for some reason or any other reason. We have all the equipment and tools that are required to bring in quick and efficient results at such a time. Why Choose Roadside Assistance by Top Notch Towing? Reliable - Our services are 100% reliable and we go out of our way to help you when needed. All Solutions - We have the right tools and equipment to offer you the best solutions for all kinds of problems. Fast - We understand that being stuck on the road is far from pleasant and thus we ensure we reach you as soon as possible. Professionals - Our roadside assistance service is carried out by a team of professionals who will be able to give you quick and effective solutions. Well Equipped - We are well equipped and have all the right tools needed to bail you out of the situation. Emergency - We understand that emergencies need to be looked into right away! For us all our customers are equally valuable and we deal with their emergencies as our own. You are driving to the end of town, enjoying your favorite music and mentally preparing for the big presentation ahead – your car jerks and stops! No matter how much you try the car just won’t start and now the panic of getting late is building up. What do you do? Miss the meeting, call in late or just stand there and wait for someone to stop and help you? – GET IN TOUCH WITH TOP NOTCH TOWING SERVICE FOR ROADSIDE ASSISTANCE! This is just one situation; we get calls from people stuck in different situations, in the car, everyday looking for a solution. We bring exactly that! 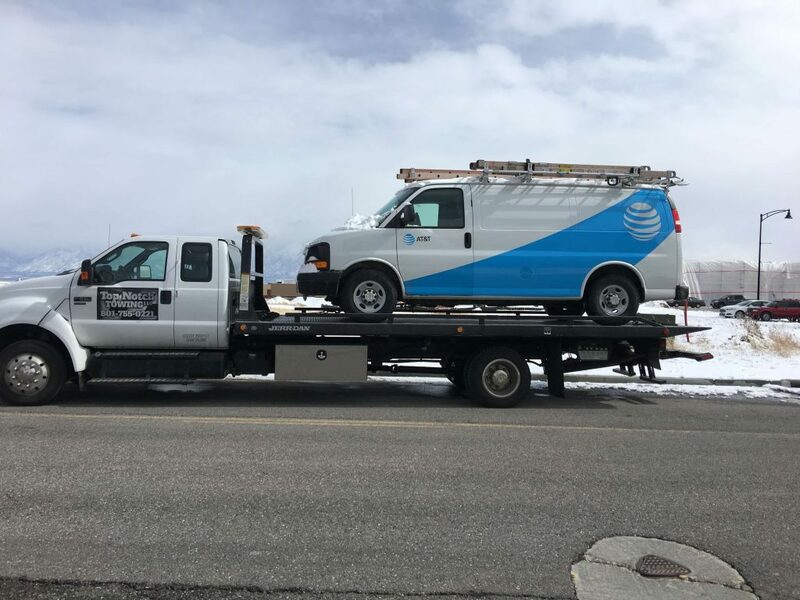 Roadside Assistance by Top Notch Towing is a reliable and quality service that is recognized as one of the best Utah Towing Service. Every day we help people get out of sticky car situations with our quick and efficient Roadside Assistance. There are many reasons why your car may give up on you. Sometimes the issue can be the battery or sometimes a wiring default, other times the tire may run flat or it could be a bigger issue that requires a professional mechanic to sort out the issue. Our expert team of roadside assistance professionals will reach you with all the necessary tools and equipment to fix the issue for you. Even if the fuel has finished and your car is running dry, we will bring fuel to you, wherever you are. Roadside assistance by Top Notch Towing is your friend in need and indeed! Just call us and we’ll be there for you. Help us understand the nature of your problem, but if you are not sure we’ll figure it out for you. You can go on with your daily schedule, knowing that our expert roadside assistance team will take care of your car and your needs. From towing to on-site assistance- no problem is too big for us and we have the solutions for all. Over the years we have successfully helped many people and our experience gives us the confidence to keep building upon our services and offering the very best to each one of you. Get in touch with Top Notch and allow us to serve you too. Stuck on the road? Need immediate assistance? What are you waiting for - call Top Notch Towing right away and our experts will be there to assist you shortly.